I.T. 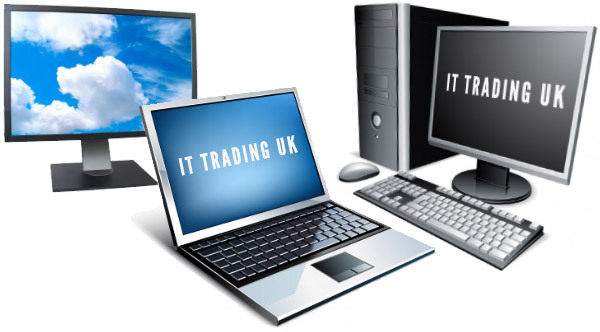 Trading UK Limited works in partnership with an extensive network of clients throughout the UK to collect and remarket surplus, and excess I.T. and computer equipment, providing a range of services, including secure and comprehensive data removal. If you represent or know of a company currently looking to dispose of, or sell I.T. and computer equipment then I.T. Trading UK Ltd is the company you have been looking for. Companies of all sizes have a high turnover of IT and computer equipment, and we would be interested in making a clearance bid to buy any marketable items your company considers to be surplus to requirements. We would tender a realistic clearance bid, to manage the collection, process the equipment, re-market sellable items and dispose of non-marketable equipment through certificated recyclers to gather re-useable materials. If at some stage your company will be looking for a clearance / disposal contractor, we would be interested in discussing any service options with you. We would collect the equipment (generally at our expense), and if required, guarantee to destroy and render non-recoverable any data to current Government Standards. There are a number of options available, if the items have a market value we would tender a clearance 'bid' to pay for the items, or make a charitable donation to be paid on behalf of your company to their chosen charity if preferred. If there is minimal residual value, we would collect and process the equipment for free, offsetting collection costs with sale values, or tender a pre-collection quote, agreed in advance, with fixed costs if the equipment has no or low forward re-sale value. We are not a company who try to take the equipment first, sell it and then pay an amount later (unless you wish to operate in this manner!). We work in partnership with our clients, agree a tender in advance, remove all items without cherry picking, within a timeframe to suit the vendor, and pay the agreed figure in full as soon as the equipment is processed (not exceeding 14 days). Where items to be collected do not have a market value we would agree a collection and disposal fee with you in advance. We use teams of experienced operatives to ensure collection is not disruptive to the vendors business and can be carried out quickly. We are available for collections 7-days a week and can operate outside of normal office hours including weekends to minimise disruption even further. When you are next organising IT and computer equipment disposal or office clearance work, if you would like a clearance bid from us please either telephone or e-mail with further details and we would be happy to forward our detailed quote. If you have any questions, or need any further information please do not hesitate to contact us. Computer's, laptops, monitors, printers, servers, furniture, telephones etc.